Thank you for your interest in my Affiliate Program! It looks like you’re not signed up yet. Complete this form to get started. Thank you for your interest in sharing The Extreme Leadership Edge. The Affiliate Area is your personal guide to help you navigate through what it means to be an affiliate, how the affiliate system works, how you benefit, and how to get the most out of it. Below you’ll find your unique Referral URL. Use this link to promote the course. Anytime someone clicks on the link, the affiliate system will give you a credit for the sale. I recommend promoting the eCourse anywhere you communicate with your audience, on your website, social channels, in your email newsletter, or through any combination of these channels. Click on the button below to check out my suggestions for posting about the course, find example social media posts, and access your banner ads. The Extreme Leadership Edge is a self-paced eCourse based on the popular bestselling books, The Radical Edge and The Radical Leap. This eCourse will give you the tools and perspectives to be the leader you’ve always wanted to be. We can help you! Head over to our Affiliate FAQ section to see our list of the most commonly asked questions our affiliates have had. 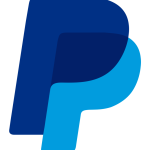 I will send your affiliate payment via PayPal to this email below.